The wine buyer at my local Whole Foods is a wonderful man. He gives me wine samples while I grocery shop. Yes please. 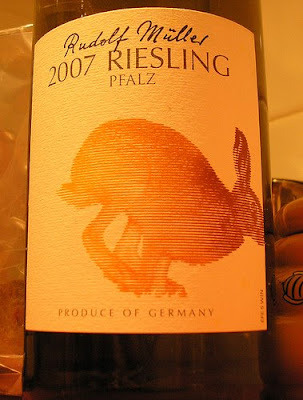 This German Riesling was one of his top picks, and it's become my summer favorite. Not too sweet. Clean. Fruity. And under $10. Goes perfectly with Goat Cheese and Pesto Toasts.